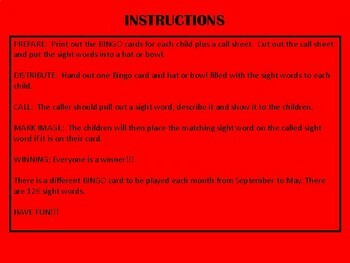 Sight Word BINGO (Pre-K, K, Grade 1) is a game that consist of 126 sight words, divided into 14 sight words on a card. There are 9 cards and one is to be played each month from September to May. 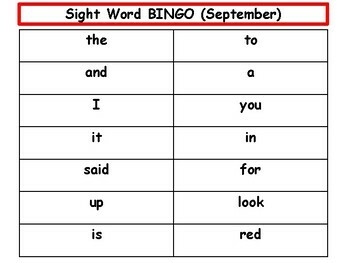 There are 3 cards with 42 sight words each, that is to be cut out to form the markers for the students. 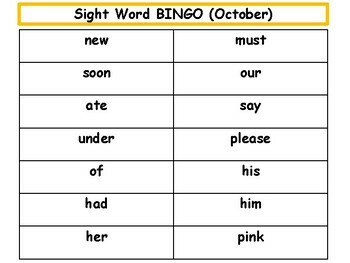 You can also use them as calling sheets. The instructions are simple. Laminate for long lasting use. 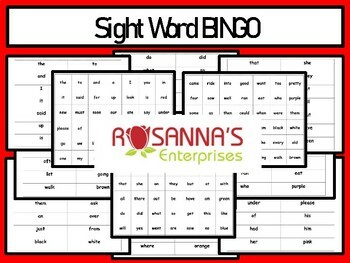 Teacher(s) or parent(s) can determine at which point they will play this game.